Previous Vermont Stage shows include Tribes (Sylvia), The Bake Off: The Dining Room, and Vanya and Sonia and Masha and Spike (Nina). Currently works as the Education Manager with Vermont Stage, facilitating and managing the annual Vermont Young Playwrights Festival and as the Drama Director at Shelburne Community School and Essex Middle School. 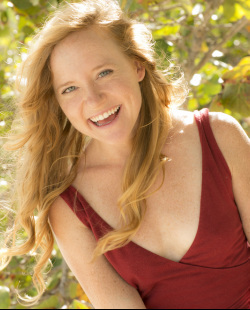 Regionally, she has also worked with Champlain College (The How & the Why), Pride Theater (The Kid Thing), and Lost Nation Theater (Pippin – Director; Eurydice – Choreographer). Every Saturday in September–May she co-hosts “Soundsmith Radio,” a variety show on 90.1 WRUV-FM (soundsmithradio.org).